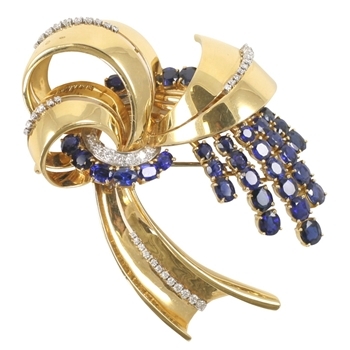 18K bow applies with a cascade of 30 oval sapphires, approximately weight 12 carats. 45 diamonds, 1.50 carats. 52.5 grams.